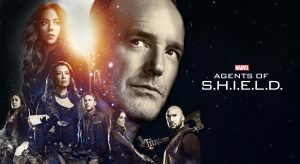 ABC Entertainment President Channing Dungey Discusses Future Of Marvel TV On ABC & Explains Marvel’s Agents of SHIELD Season 6 Move To Summer 2019! Is It Avengers Infinity War I & II Film Related? ABC Entertainment President Channing Dungey Discusses Future Of Marvel TV On ABC and Explains Marvel’s Agents of SHIELD Season 6 Move To Summer 2019 Instead Of Fall / Winter Line-Up Like Previous Seasons. Is It Avengers Infinity War I & II Film Related? What’s the future of Agents of SHIELD? Is the shortened 13-episode run a final season? So, not related to the Avengers Infinity Wars films.